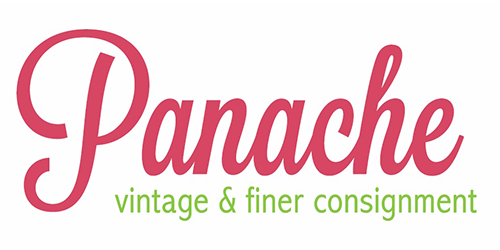 Panache Vintage & Finer Consignment brings Rochester, NY more OOOLAHLAH for their MOOOLAHLAH! Here Panache Vintage & Finer Consignment in Rochester, NY we specialize in women’s consignment apparel, giving you more oolahlah for your moolahlah! Many women’s consignment stores can be hit or miss; the price may be right, but the quality or selection just doesn’t cut it. Not here. Panache Vintage & Finer Consignment takes women’s consignment apparel to the next level, boasting designer labels and only high-quality garments and accessories. We have compiled a list for you to see what kind of brands Panache loves! Looking for a one of a kind piece to tie your outfit together? Panache Vintage & Finer Consignment is Rochester, NY leading women’s consignment apparel boutique! Are you ready to clean out your closet and consign with Panache Vintage & Finer Consignment? Browse the Panache Consignment Season page to ensure that your items are ready for consignment at Panache Vintage & Finer Consignment! Give us a call and schedule an appointment!